The dramatically announced Serbian officials’ hungers strike – which was due to start today as an alleged tool against “oppositions’ violence” – has been postponed. Defense Minister Aleksandar Vulin who was the first to declare that he would go on a hunger strike, has given up on the idea after meeting with President Aleksandar Vucic, as he said. Belgrade deputy mayor and Vucic’s close ally Goran Vesic (photo) did the same, explaining that his decision to go on a hunger strike was still “in force”; however, it was, as Vesic said, postponed. Both Vulin and Vesic announced their decisions to go on a hunger strike on Thursday, along with dozens of members of parliament from the ruling Serbian Progressive Party (SNS) led by Vucic. However, these MPs said today that they will just block the parliament tomorrow, during the opposition’s rally, almost without any mention to the hunger strike. Vulin told reporters that he has accepted Vucic’s advice to postpone the strike. 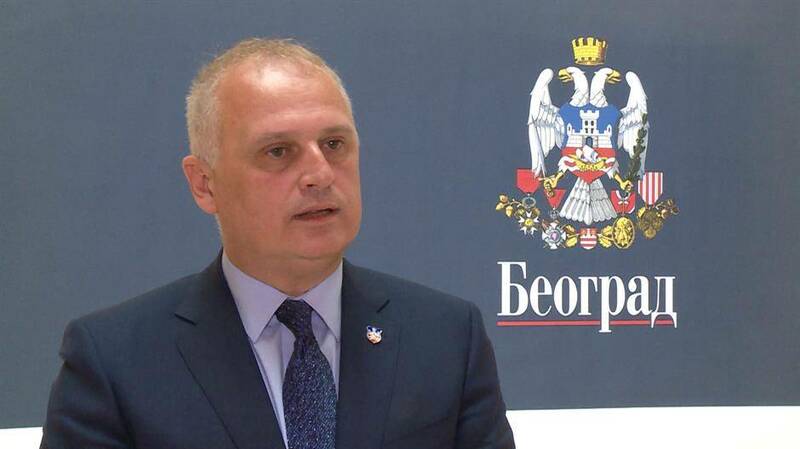 Vesic said he will start starving if “hooligans continue to blackmail the state”. “My decision to go on a hunger strike was motivated by my intention to attract the attention on the violence that fascists conduct in Belgrade”, Vesic said at the press conference. Vesic said that he and the stuff of the Belgrade City would also remain in the City Council building during the demonstrations on Saturday, in order to “defend it”. The protesters led by opposition Alliance for Serbia (SZS) have announced a big rally in Belgrade for Saturday. They demand a “change of the system”, not just the government. Although Vucic and other officials constantly label opposition leaders as fascist and tycoons, they have offered them to have a say in the country’s reform process. On Thursday evening, Vucic invited them to “join the train of reforms”. The same words were used today by the head of the SNS’s members of parliament, Aleksandar Martinovic. What was discussed in Beirut between Cyprus and Lebanon?